Under iRock Films Banner bollywood super hit film Disco Valley directed by Sajit Warrier and produced of this film is Siddharth Jain. The Stars are Rajat Barmecha, Vivaan Shah, Shazahn Padamsee, Manjot Singh. Movie Released on Dec 2013. Here You can download free Disco Valley First Look. Under Radha Creations Banner bollywood super hit film Dilli Gang directed by Ashish Tyagi and produced of this film are Rajeshwar Tyagi. The Stars are Darshan Jariwala, Neena Kulkarni, Yashpal Sharma, Amir Dalvi, Asrani. Music composed by Amjad Nadeem, Siddhant Madhav, Sandeep Surya and Lyricist are Ibrahim Ashq, Vikram Chaudhary, Naveen Tyagi. Movie Released on 2013. Here You can download free Dilli Gang First Look. Under Reliance Entertainment, Jigsaw Pictures Banner bollywood super hit Comedy film Sooper Se Ooper directed and producer of this film are Shekhar Ghosh. The Stars are Vir Das, Kirti Kulhari, Yudishtir, Gulshan Grover, Deepak Dobriyal, Yashpal Sharma, Mahesh Balraj, Mohan Kapoor. Music composed by Bikram Ghosh, Sonu Nigam and Lyricist are Sanjeev Tiwari, Sonu Nigam, Shabbir Ahmed. Movie Released on 25 Oct 2013. Here You can download free Sooper Se Ooper First Look. Under Eros International Banner bollywood super hit Action film Kochadaiiyaan directed by Soundarya Rajnikanth and produced of this film are Sunil A Lulla, Sunanda Murali Manohar, Prashita Chaudhary. The Stars are Rajinikanth, Deepika Padukone, Shobana, Nasser, Jackie Shroff. Music composed by Bollywood biggest name A R Rahman and Lyricist are Kavignar Vaali, Kaviyarasu Vairamuttu. Movie Released on Dec 2013. Here you can download free Kochadaiiyaan First Look. Under Brandsmith Motion Pictures, Moving Pictures Banner bollywood super hit Action film Bullett Raja directed by Tigmanshu Dhulia and produced of this film are Rahul Mittra, Nitin Tej Ahuja, Tigmanshu Dhulia. The Stars are Saif Ali Khan…. Raja Mishra, Sonakshi Sinha, Vidyut Jamwal, Jimmy Sheirgill, Gulshan Grover, Raj Babbar, Mahie Gill, Chunky Pandey, Ravi Kissen. Music composed by Sajid, Wajid and Lyricist are Sandeep Nath, Kausar Munir. Movie Released on 29 Nov 2013. Here You can download free Bullett Raja First Look. Bollywood talented Actress, and an ideal woman Kareena Kapoor features on the cover page of India’s most leading fashion magazine Femina Magazine edition for the month of November 2013. This is an anniversary issue from magazine. She will soon be seen in upcoming movie, Gori Tere Pyaar Mein starring opposite Imran Khan. Anyway checkout Kareena Kapoor Hot Femina. Former Miss World Bollywood Beauty Queen Priyanka Chopra on the cover page of Cosmopolitan Magazine’s Indian edition for the month of October 2013. In the interview she accept that “If you are confident, you have just got it fake it!” Now thats candid admission of fact. While it was has-been popstars this time, Priyanka’s last visit to the USA saw her partying with football stars including Christiano Ronaldo and Lionel Messi. Anyway checkout Priyanka Chopra Cosmopolitan. 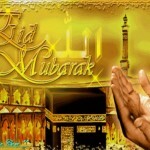 Muslims across the globe celebrates the Eid Ul Adha that is also called Big Eid On 10th of Zil Hijjah. 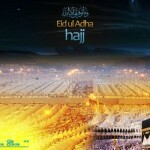 Before Eid Hajj Is performed by millions of Muslims In Saudi Arabia. 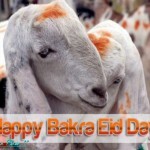 On Eid Ul Adha Muslims Sacrifice of Animals by the name of Allah as per the intruction in holy Quran. The Sacrifice is called Qurbani. It is done in Remembrance of Prophet Ibrahim’s sacrifice who not even hesitated to sacrifice his son on order of God. For tehe satisfaction of Allah Qurbani domestic halah(Legal) animals like buffalos, sheep, camels, cows etc. Qurbani is compulsory for adult male and female who’ve wealth to purchase the animal. The ultimate aim of Qurbani is to raise the standard of humanity, eliminating or killing animalism through Qurbani, Through Qurbani lust and greed, animalism inside is removed. The spirit of Qurbani is to declare that all are ready to sacrifice their life and property for the satisfaction of Allah. 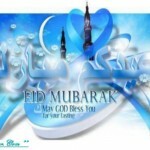 Here you can download free large collection of Eid Ul Adha 2013 Beautiful greeting cards for your friends, family.